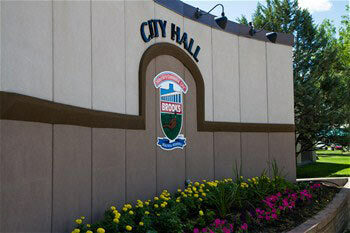 The City of Brooks is one of fastest growing communities in Alberta with a multi-cultural flavor unique to other municipalities in Alberta boasting a population of 13,581. Brooks is steadily growing with residential and commercial development and we’re proud to announce the completion of our new Fire Hall, a wide range of restaurants, grocery and retail outlets plus educational facilities including the Medicine Hat College, two high schools, 3 junior high schools, 4 elementary schools and a Francophone school. Brooks has a strong community spirit where people work together to continuously enhance our quality of life. One prime example is Communities in Bloom where the City of Brooks has won 4 times consecutively in our population category. Brooks is now competing at the national level. Residents volunteer their time and together with employees from the City of Brooks this program has been very successful.